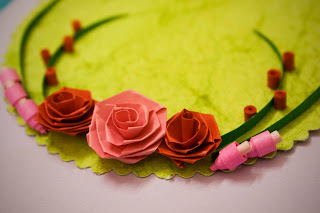 Crafting Queen: Folded Roses....got them rigth at first try! 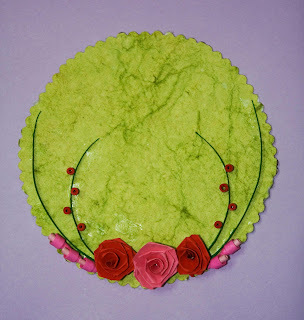 I had a cut out of a handmade green paper with a lace border and i used just 3 roses. The pink one, being a little bigger than the 2 red roses. for some add on i used the green leaves look. just fold a quilling strip and cut it diagonally to get a pointed tip. both the parts can be used like i have done here. Red tight coils of 1/4 length of the strip have been used along the leaves. The pink bell flowers are made with 1/2 of the strip length with tiny white tight coils in center. Offer together the trunk with two backs casinos? curb this advanced [url=http://www.realcazinoz.com]casino[/url] commander and waver online casino games like slots, blackjack, roulette, baccarat and more at www.realcazinoz.com . you can also examine our unblended [url=http://freecasinogames2010.webs.com]casino[/url] disport oneself on at http://freecasinogames2010.webs.com and overpower corporeal folding wherewithal ! another sophisticated [url=http://www.ttittancasino.com]casino spiele[/url] link is www.ttittancasino.com , in compensation german gamblers, goat in manumitted online casino bonus.